Thank you for this great tutorial! Everything works perfectly, however I’m having trouble setting the last row correctly if there are cells with a formula in it. What I mean is, I want the last row to be set at lets say 8. However, there are cells below row 8 that are blank but have hidden formulas. i.e. one may contain =IFERROR(VLOOKUP(F8,’dt-attext’!A$2:J$33,10,0),””) or something similar and will appear blank, but since the formula is still technically in place, that row is counted when I want it to stop at a row with visible data. Anything would help! Thank you! what if my range has 4 rows Ex. A1:D4, and i want to copy it to my other datatable with the same row numbers? but i havent found any solution, whenever i run my function, they all paste in the same row, please help me! I have to link table with Customised values of rows & coloumns. Thank you for informative tutorial. When I use the code below by itself it works perfectly but when I try to call or add it into my code it gives me the error 91 saying that I need to set the object. I tried simply putting “set lRow =” but the error message still appears. I am fairly new to programming on Excel so I am not sure exactly what to do to still use this great code. If you have any ideas I would love to hear them. Thank you. With below code I am not able to find last used cell in the column or sheet.. Thank you for a very good and intuitive blog, could you please help me out? I have used a function for a VLookup. My objective is to obtain data from one spreadsheet and use that to automatically update the next available cell to the right. This is meant to be a dynamic Vlookup but one line keeps giving me problems. This is the whole syntax. How to select a last cell (containing data) from the non selected sheet? I need to use this continuously and hence want to avoid selecting the sheet. This will work if I select the sheet prior selecting the last cell command. Can you please help me to select the last cells without selecting the sheet in VBA? Hi. I have a related programming impasse. I am looking to select (and paste the clipboard contents to) the blank cell just below the last non-blank cell in a range. The range is B2:B501. The clipboard contains values in a horizontal range P4:AB4, so I am wanting to populate B2:N2 the first time the macro executes, then B3:N3 the next time, and so on, up to 500 times when the range is filled. This is a great tutorial. Thanks, Jon. What I’m trying to do is count, for a given row, how many cells have data in them. When I use the code for lcol above, it returns the address of the last cell with data (for example, D:D). Is there a way for it to return a count, or a way to convert an address such as D:D into a count? Many thanks for the expert help! Great question! Yes, there are a few ways to do it. We can use the COUNT or COUNTA worksheet functions for this. Here is some sample code. suppose lrow = 5 and lcol = 3 you are commanding vba to select Range(5:3) which is invalid. Could you help me how i can use replace command. Checkout this post from my friend Chris. It should help you with the Replace method. Hi very good tutorial, iam new in excel. after search last row i need to paste text from another sheet after last row but not a message like in your tutorial. Can you help me, please? Thanks Vilius! Great question! 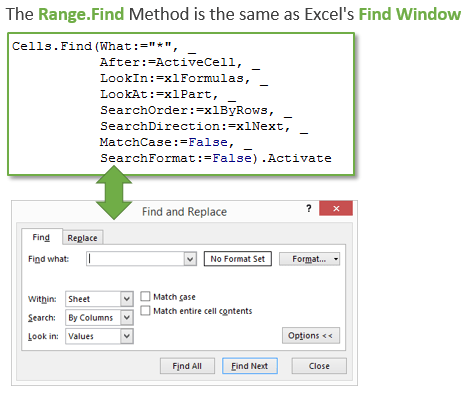 Once you find the last row, you can reuse the variable in a reference to a range. There are many ways to do this. Here is one example that would reference the last row in column A. This assumes the last row number is set in a variable named lRow in a line of code above. To reference the row below the last row you could use either of the following. The Offset property allows you to offset a specific number of rows or columns. In this case we are offsetting 1 row down and 0 columns to the right of the range reference. Checkout my video series on copy and paste with VBA for different ways to copy & paste. I know this is very basic and the answer is clear. I just can’t make it work when duplicating your lesson. To reference the result in a cell I get run time error 1004. As you will guess I’m a novice! Do you know why it would give the error? Two things I see here. The Workbook(“REPORT”) references needs to be changed to Workbooks(“REPORT”). The Workbooks property is plural. You’ll want to make sure lRow is returning a number greater than zero. If it is returning a zero then you will get an error. You can step through the code with F8 on the keyboard to test each line. I don’t see where you are copying anything in this macro. An error will also be hit if there is nothing copied to the clipboard first with the Copy method. That line of code will have to be above the PasteSpecial line. this formula wouldn’t paste in the next blank. your help would be much appreciated. erow is returning the last row in the first column. I believe this should be the second column since you are pasting in column B. So you will need to change the column index number in the cells property to 2. In my excel sheet, i have data from A1 to C10. Now I am sending this to my access table using DoCmd.TransferSpreadsheet. I am able to send the data successfully if i specify the range. But i want to make the script dynamic and instead of giving C10 i want to send data till end of the cell that has data. How can i achieve this. It would be hard to tell without seeing the file. What type of control is txtFname? I have a question regarding finding the first row in a table and inserting data. I have used below function in my code which inserts data to the lastrow in a table. Please let me know how do i change it so that the data is inserted at the first row. Great question! Here is an article on how to find the first used row in a range with VBA. I hope that helps. Not sure why but I can’t seem to use the Find method with optional parameters. When using optional parameters you will need to specify the parameter name then use the colon equal sign := then the parameter value. I believe the After parameter is wrong. I’m not sure what afterCell is. You might want ActiveCell. I found the solution…using the Max Function did what I needed…..
Ok great! You could also use the SpecialCells method to find the Constants or Formulas that contain numbers. That would return a range of all the cells that contain numbers. Is there a way to find the last used integer in a column with mixed data in it? I’m not sure I understand your question. Do you want to use the results in a formula in the spreadsheet? Here is a very simple example of how to use the last row variable in a formula with VBA. Range("A1").Formula = "=SUM(A2:A" & lRow & ")"
The formula is a string that can be concatenated with variable values using the ampersand symbol. I hope that helps get you started. Thanks! Thanks for the nice feedback. For that you might want to use the UsedRange property. The following line of code will select all the used cells in the worksheet. Try it out and let me know if you have any question. Thanks! i want to find the data in the third cell. Can I have any ideas? That line of code would return the Maximum value from the specified range. I hope that helps. But i try this code yet it’s cant run as expected. Can i know more specific? How to find out the start of the cell value and end of the same value in a column. Ex A1=apple, A2=Apple, A3= Apple. I need result as the Start value is “A1” and End value is “A3”. I have an article that explains how to find the first used cell. You can modify the What parameter to search a specific value instead of the wildcard for anything “*”. I hope that helps. It sounds like the last used cell on the sheet might have been accidentally set to the last row of the sheet. This is why I tend to use the Range.Find method instead of SpecialCells. If you don’t want to use Range.Find, you can probably reset the last used cell by deleting all the rows below the actual last used row on the sheet. Then save the workbook. 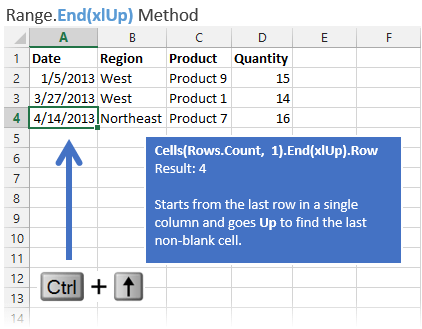 After you save, you should be able to press Ctrl+End to select the actual last used cell on the sheet. I hope that helps. Just i need a small macro.I dealing with big data in Clinical Research. and values of D and I are in A and B columns. I want the output values of ‘Area’ in column C. Your help on this will be much appreciated. As soon as this LastCell Function appeared in one of your earliest modules, I copied it out and played with it in my own workbooks just to understand it better. I’ve always had trouble using the Find methods. Now to be directed to your detailed explanation of the Range Find method is a real treat. And to see your exchanges with Zack and other Excel masters here is a double scoop of ice cream! That said, seeing all the nuances and tangles you could have touched, I’m all the more impressed your judgment in choosing what to include and exclude in your foundation course and this article. I agree that the Find Method can be a bit of a monster when we first look at it, but I think you will find a lot of uses for it in the future. It’s a great one to have in your tool belt. It’s always a treat to have Zack stop by. He is an absolute master and I have learned a lot from him, and all the other members of this community that leave comments. It’s great to learn from everyone and see how they are using Excel. I am trying to use check boxes in order to copy and paste values over to another worksheet automatically. This means multiple items need to append onto the other worksheet leaving a row between eachother. I’m not an expert programming with VBA. I need help with a code, here is what I need. I have data in a sheet from column C to DA, column C has a symbol and D has a value, E has symbol and F has value, and so on until column AD. Here I go, in each column my range is from 12 to 72. I need to count 36 values starting from the cell 72 up to 12 ignoring empty cells (To maintain 36 values.) then clear the data over the value number 26. Also clear the symbol to the left of the deleted values. This is what I have done I started with column C to eventually change it from column A to DA but is now doing what I want. Dim y As Long, cnt As Long, x As Long  x or future modification. ‘For x = 2 To 105 step 2  For future modification to be used to expand range. Great stuff – I have a large columned worksheet that I want to find and delete all “blank” cells – any help you can provide would be of great assistance – if you provide an example, I can work with to find the final answer, I’m willing to do the necessary work from there..
Great question! I don’t have any specific tutorials on that yet. However, the Range.Clear or Range.ClearContents methods will delete the cells. ClearContents deletes the values/formulas, but leaves the formatting. I hope that helps. Thanks! I have 2 tabs in my worksheet. The 1st tab consists of Email template and a button to generate outlook email. The 2nd tab consists of multiple rows of data which are referenced by tab 1 for email purpose. Row 1 of tab 2 has fixed reference to tab 1 template. Now on clicking the email generate button picks the data in tab 1 referenced from row 1 of tab 2 and sends an email. Moves the rows up in tab 2 once email for row 1 is sent out. So that the tab 1 now references row 2 data of tab 2. Note: moving up the rows should be copy+paste and not cut+paste since it removes the references of row 1 to tab 1. I would like to create a macros which will move me to the end of the list. Not only to find last row or column and see it in ms-box, but also to move physically to the end the active cursor. You can use the Select method to select the last used cell. Depending on what method you use, the code could look something like the following. You would put that after the code to find the last row and column. I hope that helps. Thanks! It will help me to navigate in my data table. I have the same senario as Kristine and I have tried to get the code to work for me. I am hitting a brick wall though and wondering if I have misunderstood something? Would it be possible to share with me your code string? Sure you can post your code here. I’d be happy to take a look. When talking about cons of using SpecialCells, you say that it “finds the last used cell and NOT the last non-blank cell”. Could you please clarify? Is this connected to issue of Excel not refreshing the last cell reference until it has been saved, or is it a further point? Great question David! The last used cell can be a cell that contains formatting, or that once contained a formula or value but has since been deleted. Excel won’t necessarily change the used range, even after you save the workbook, for these cases. Therefore, the last used cell can be different from the last non-blank cell. You can use this to your advantage too if you want to determine if there are cells after the last non-blank cell in the worksheet. I hope that helps. Let me know if you have any questions. I found out that adding Activesheet.UsedRange before using SpecialCells(xlCellTypeLastCell) forces a refresh of the last cell as if it has been saved. However, I now see that where there may residual formatting, for example, this method of finding the last blank cell is not bullet proof. … back to Range.Find then! That’s a great tip with UsedRange! And have come to the same conclusion with Range.Find. It is not the prettiest, but is usually the most versatile and bullet proof. I just keep the FindLast function in my personal macro workbook and copy it to any project I’m working on. Thanks again! Just wondering how I could find a specific cell in a row of dates, then use this as a variable to reference this column as a starting point, (its not the end of data as there are dates in the future as well)? Great question! You can use the Range.Find method for that. The Find method can return a range object. Here is some code to get you started. The macro above is similar to the macros in the article for the Range.Find method to find the last row or column. However, there are some key differences. You’ll notice that this macro uses the Set keyword “Set rFind = “. This is because the rFind variable is an object, a Range object. We need to use Set to set the object variable types. I also changed the What:= parameter to a date. You can change that to the date you are looking for. Or you can use a variable instead. Maybe you want to have an InputBox appear where the user inputs the date. The other change is the Range we are looking in. I specified Range(“A1:G1”), and the find method will look in all the Cells in that range. You can change that reference to fit your needs as well. I hope that helps. Let me know if you have any other questions. Thanks! Thats fantastic thanks so much and the explanation really helps with understanding the code. As another variant if I have a row that has “ACT” in it up until it gets to “FCT” how can I find the last item of “ACT” in the row. So I am wanting to find where my actuals end and forecast start. In that case you can use the Range.Find method again. This time you can use Range.Find for the last row (code sample above), and just change the What parameter to “ACT”. I also changed the range reference to Range(“A:A”). This will look in column A only. Since the Start parameter is A1 and the Direction is xlPrevious, the find will start in cell A1 and go backwards. That means it jumps to the last row in the worksheet then starts going up. It will stop when it finds the first cell that contains “ACT” and stop there. I also changed the LookAt parameter to xlWhole. This is the same as the “Match entire cell contents” in the Find window. You will probably want this option to find an exact match. In other words, you don’t want the find to stop if a cell below contains the word “Fact”. Will any of the above sintax help finding the last row of an actual table (rather than just a range) and then selecting a defined cell in the last row of that cell ? I have been searching for quite a long time and I can’t seem to make “Rows.Count” or Range.find work with ActiveSheet.ListObjects(“Table4”). Great question. The DataBodyRange property will return the data range of the Table. Here is the code. That will return the total number of rows in the Table. That is just a simple example. Let me know if you have any questions. Thanks! Thank you so much !! That was exactly what I was looking for. Hello Jon!!! Thanks for this post, and for the videos, they are very helpful! My question is simple: I´m using the code to get the last available row (range.end), and then I would need to copy all the cells above the last row into another sheet. This last cell will be different each time. Can you help me with the necessary code? Do you need more information? Once you have the last row you can reference in the Range property. So let’s say you want to always copy columns A to F, starting in row 2, but the last row changes. Here is the code. There are a lot of different ways to go about this (like anything in Excel/VBA), but this should help get you started. Let me know if you have any questions. Thanks! i.e the function doesn’t seem to be available from within VBA do you have any idea why ? Is there an addin needed ? Sorry to not get back to you sooner. I just saw your comment. The Columns worksheet function does not exist in VBA. However, you can use VBA instead. The following line of code will return the number of columns in the table/range. Thanks Jon this works fine. Good to have your advice. I know the likelihood of getting a response on such an old thread is unlikely, but I am needing a way to use this on all sheets in a workbook, individually, and type “X” on the next row in column B. The following is working on each sheet, but I need it to loop through all sheets and find that sheets last row. I have been unsuccessful at making it accurate on each sheet individually. Great question! The code for the loop will look something like the following. That code will loop through all the sheets in the workbook and run the code you put between the For and Next lines. “Thisworkbook” references the workbook that the code is stored in. You could replace that with “ActiveWorkbook” to run the code on the workbook you currently have active. 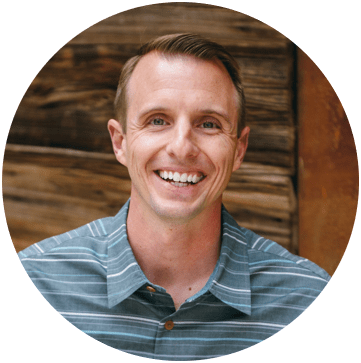 I have a free video training series on macros & VBA that discusses how to write a loop to loop through all sheets in the workbook. i have a question regarding how to solve the issue when there is a blank sheet when we use the last cell find vba syntax. any suggestions for error handling? it is part of my syntax to return all the formula of a sheets. currently there is a bug if the the workbook contains a blank sheet. i do not know how to put an error handling code to it. There are few ways to go about it. You could use the the CountA worksheet function to first determine if the sheet is blank. If this returns a TRUE value then the sheet is empty. Replace ActiveSheet with the reference to the sheet in your loop. Although the message box for lastRow returns the correct value, the message box for emptyRow shows a value of “1” and I am not sure why. I used the code from Part 2, which worked perfectly – thank you for the detailed explanation! Are you in run-time when you view the “1” value, when your mouse hovers over the variable? Or is this in the locals or watch window? We would definitely need to see your code though, otherwise it’s a crap shoot. It *could* be a mis-declared variable though. Once I used Part 2 to find lastRow, how do I assign emptyRow as the very next row? Nice post Jon. Well stated and easy to follow. I didn’t download any of the files, but followed the post and watched the videos. The reason behind using Rows.Count and Columns.Count is because of the varying number of rows in different versions of Excel. There’s a lot of code out there which has “A65536” and “IV1” hard-coded in it because for a long time nobody ever thought the number of rows in Excel would ever increase. So to be forward and backwards compatible, using the Count is the most robust because it will adjust based on the [Excel] version its being run in. The problem with not specifying the worksheet is this code will always assume each range reference is based on the active sheet. So if you have multiple sheets with different amounts of data, it could cause havoc. Note two thing: 1) I used the ActiveSheet object, and 2) each range object received the worksheet reference. On many occasions you’ll see someone reference the outermost range reference but not the others. Obviously you should change the ActiveSheet for the sheet reference you’re using. Something else to consider is the UsedRange object is normally used to determine the range used, and is often used when trying to identify any Range on a worksheet. It has some deficiencies however, such as not always being current and being unable to ignore formatting. Using the Find method ignores rows hidden with AutoFilter. To get the real last used row, ensure that all rows are visible by turning off any auto filters. The Find method is not affected by manually hidden rows and columns. In regards to the SpecialCells method, it can be nice and flexible, but it will throw an error if Nothing is returned, so there would need to be error handling along with it. What I do when using this method is error handle it then check for the existence of the variable I used with it for being Nothing. Your explanation on why to use Rows.Count is excellent! And you’re absolutely right about specifying the sheet. I will add that to the example, and also add how it can be simplified with the With statement. For example, we could make the following line of code a little more efficient by using a With statement. This post was originally a lot longer. I cut some things out to try and simplify the explanation, but you bring up some really important points. And simplification can often lead to errors. I might break it up into 3 separate posts to make it a little more digestible. Your other point about Filters and the Find Method is also really important. I forgot to mention that. Question for you. What method or technique would you use to find the last cell on a sheet that contains a blank Table? 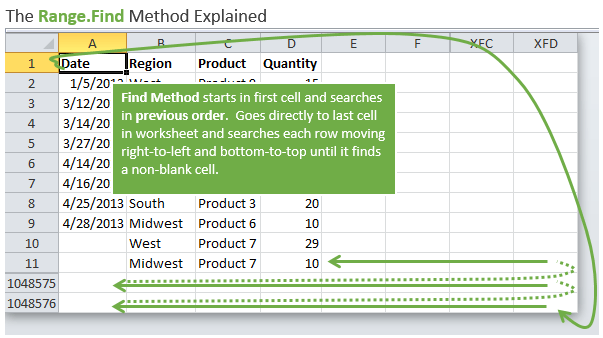 If a blank table is inserted on a sheet, UsedRange or SpecialCells doesn’t seem to find the last cell. The only thing I can think of is to loop through the ListObjects (tables) and return the range address property. That definitely [Tables] presents another layer of complexity. For me, because of their inherent dynamic nature, I don’t feel the need to have a function to find the last row of a Table because that range is basically always known. There are really only a couple of situations where using the ListRows object wouldn’t give you the proper Range object return. Using the Find method (generally what I prefer) will not have the same End range, because the entire Table range is encompassed in the UsedRange object, but the Find method will only look for data. ‘ Parameters: TableSheet. ListObject. Optional. The Table to insert a new row in. Thanks Zack! Incorporating Tables in the LastCell function is a great idea. They are kind of mini-worksheets on their own. The LastTableRow function is awesome! It resolves my issue of finding the last used row on a sheet with a blank table. Here is a screenshot of the issue. Is this function in your book? I highly recommend checking out Zack’s Excel Tables book if you want to learn more about Excel Tables.